I’ve keep encountering this strange white space below the URL address bar in Microsoft Edge. It shows up every time there are lots of tabs open in my browser or after several hours of using Microsoft Edge. I’ve also done a couple of fixes to this problem, even deleting additional extension installed in the browser or reformatting my Windows 10 OS to a fresh one, yet it didn’t solve the problem. See example screenshot below. This could be a bug of Microsoft Edge browser that Microsoft is not aware of, I’ve been using Microsoft Edge as my primary browser and sometimes the browser becoming extremely lagged, that’s the point this white space in address bar appear. Some user who change their Microsoft Edge theme to dark will display dark space instead of white. So, how do we fixed it? There is only a temporary solution, if the tab is very important and closing is not an option – you can just drag the important tabs outside Microsoft Edge and it will pop up in a new window. Other alternative solution is to completely End tasked Microsoft Edge (see below instruction). Find Microsoft Edge program and End task all. If your problem still didn’t resolved, you can drop a comment down below. If you find this article helpful please like our Facebook page (https://facebook.com/GamingPH/). I've keep encountering this strange white space below the URL address bar in Microsoft Edge. It shows up every time there are lots of tabs open in my browser or after several hours of using Microsoft Edge. I've also done a couple of fixes to this problem, even deleting additional extension installed in the browser or reformatting my Windows 10 OS to a fresh one, yet it didn't solve the problem. See example screenshot below. This could be a bug of Microsoft Edge browser that Microsoft is not aware of, I've been using Microsoft Edge as my primary browser and sometimes the browser becoming extremely lagged, that's the point this white space in address bar appear. Some user who change their Microsoft Edge theme to dark will display dark space instead of white. So, how do we fixed it? There is only a temporary solution, if the tab is very important and closing is not an option - you can just drag the important tabs outside Microsoft Edge and it will pop up in a new window. Other alternative solution is to completely End tasked Microsoft Edge (see below instruction). How to Fixed Mysterious Space Below Address Bar in Microsoft Edge Open Task Manager Go to Processes Find Microsoft Edge program and End task all. Open again Microsoft Edge White space are gone. If your problem still didn't resolved, you can drop a comment down below. 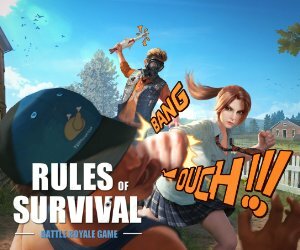 If you find this article helpful please like our Facebook page (https://facebook.com/GamingPH/).